We are a family-owned law firm that treats our clients like family. Even prior to attending law school, Kari's life passion was assisting families. While interning for the Honorable Family Court Judge Cynthia Dianne Steel, Kari discovered that family law was her passion. This position within the Court system allowed her extensive contact with Judges and attorney throughout the Las Vegas area. Furthermore, Kari was introduced to the backdrop of the family court system. Kari final year of law school focused on classes related to family law and other areas related to families. Upon graduating from Whittier Law School, Kari accepted a position with the Honorable Family Court Judge, Gloria S. Sanchez. Again working within the family court's reinforced Kari's knowledge in the family court system. Furthermore, the experience provided Kari with first hand knowledge as to each Judge and their respective Court rooms. To gain more knowledge, Kari would spend time in each Court room observing judges and attorney and learning the do and don't of family law. As a result of her employment, Kari was offered various associate positions among the family law community. Kari choose a small but prestigious law firm which provided her with extensive court room experience and the free necessary to develop an individual style based upon honestly and integrity. After several years of working with the small but prestigious family law firm, Kari established a firm known as Hanratty Roberts Law Group. This firm achieved several awards namely, Pro Bono Small Firm of the Year 2007 and Pro Bono Attorney of the Year 2008. Kari's goal was to always maintain a small firm that was dedicating to helping the individual. In 2009, Kari joined the Association of Family and Consolidated Courts in an effort to help families to successfully parent children during and after the divorce process. 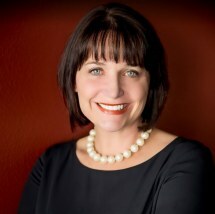 In 2010, in accordance with her goals of maintaining a small firm that was dedicated to helping the individual, Kari established Hanratty Law Group. Throughout her career, Kari has gained respect from judges, colleagues and clients. Kari's client base is largely referral oriented.